Need an automated label print and apply system? Look no further. FOX IV Technologies is your labeling system authority. For over 30 years, FOX IV has been a leader in labeling and bar coding and offers the largest selection of print and apply equipment in the world. 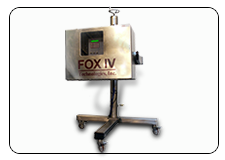 Our innovative designs and integrated labeling systems keep FOX IV Technologies at the leading edge of labeling. FOX IV’s extensive equipment ranges includes the latest in desk top label printers along with label applicators and over 30 different models of automated print and apply labeling systems. 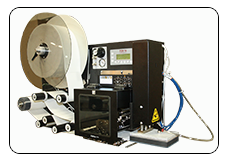 Label printers and label printer applicators are available in a wide variety of print engines. 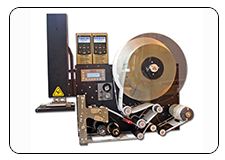 FOX IV’s industrial-strength label printer-applicators are built to order. They can incorporate either a standard OEM print module from one of these manufacturers or be built utilizing one of these desktop label printers for added compatibility and flexibility. All of our units offer operator-friendly features and FOX First™ designs such as our precision center-wall for reduced label tracking and breakage, rotatable LCD control displays, printed label and ribbon paths and our Swing-away cylinders, depending on your application.